This trusted practitioner resource and widely adopted text helps the busy clinician find the right psychiatric diagnosis and avoid the many pitfalls that lead to errors. Covering every disorder routinely encountered in clinical practice, Allen Frances provides the ICD-9-CM codes and (where feasible) ICD-10-CM codes required for billing, a useful screening question, a descriptive prototype, diagnostic tips, and other disorders that must be ruled out. 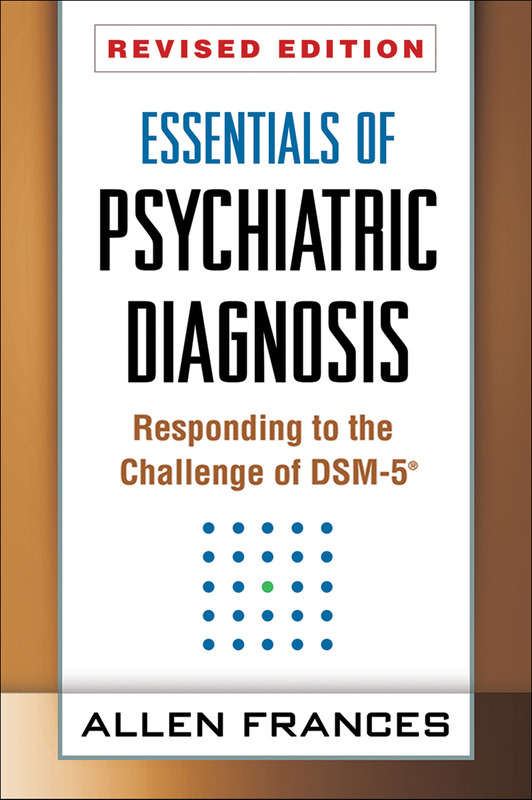 Frances was instrumental in the development of past editions of DSM and provides helpful cautions on questionable aspects of DSM-5. An index of common presenting symptoms lists possible diagnoses that must be considered for each. The Appendix (which can also be accessed at the companion website) features a Crosswalk to ICD-10-CM codes plus links to coding resources.